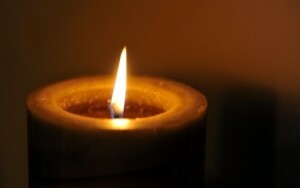 SHARPSVILLE- Kenneth J. Rosen, 59, of Sharpsville passed away on Friday morning April 12, 2019 in UMPC Montefiore in Pittsburgh. He was born in Greenville on July 2, 1959 the youngest son of Melvin and Rita (Falkinson) Rosen and was a graduate of Jamestown High School. Ken had a wonderful sense of humor that was second to none and was always ready with quick joke on the tip of his tongue. He was common visitor to area flea markets where he truly enjoyed the buying, selling, and conversations about various goods. Ken was a member of Congregation Rodef Sholom, Youngstown, and previously a member of the former Temple Beth Israel. He is survived by his brothers Alan Rosen and Marc Rosen, and by his niece Elana and nephew Seth. Ken was preceded in death by his parents. A memorial service in his honor will be announced at a later date. Private arrangements have been entrusted to the Sample-O’Donnell Funeral Home 555 East State St. in Sharon. To sign the guestbook for Kenny’s family, please visit www.sampleodonnellfh.com.